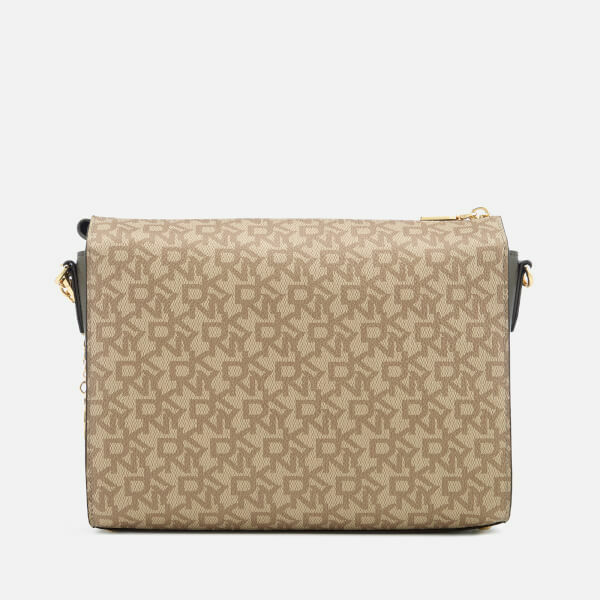 Women’s leather cross body bag from DKNY. 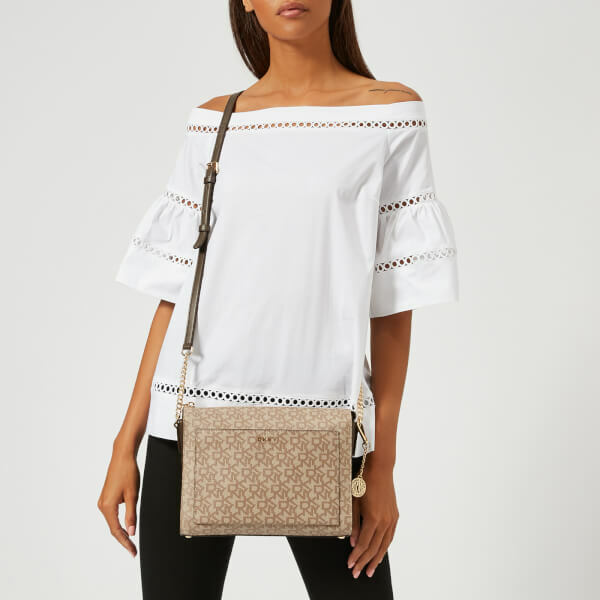 The ‘Bryant’ shoulder bag comprises a boxy shape and fastens with a top zip, opening onto an interior lined with logo-printed fabric. 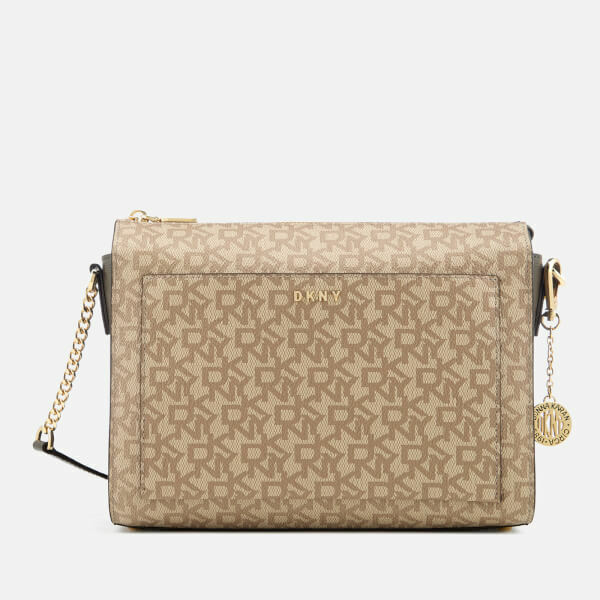 Pockets feature to the inside and the front exterior, while an adjustable chain and leather handle offers versatile styling. A gold-tone logo charm completes the design. Dimensions: H: 17cm x W: 25cm x D: 8cm. Strap Drop: 58cm.